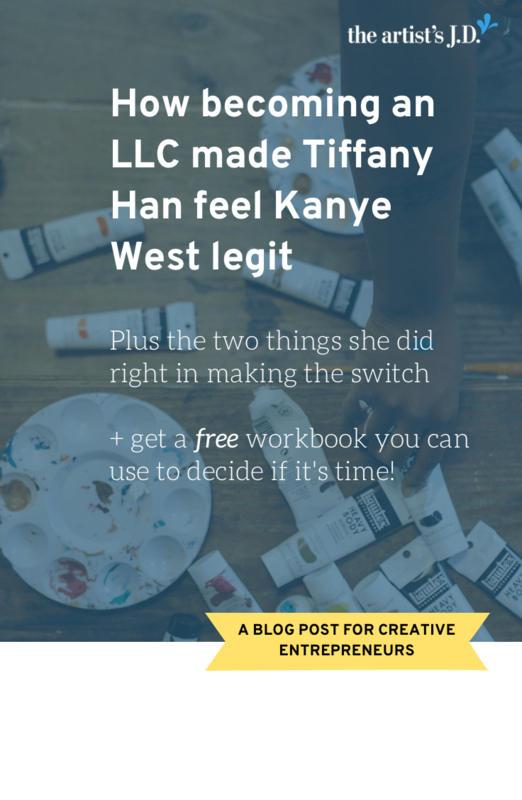 Enter your email to download your free copy of a workbook that will help you decide if now is the time to become a LLC. 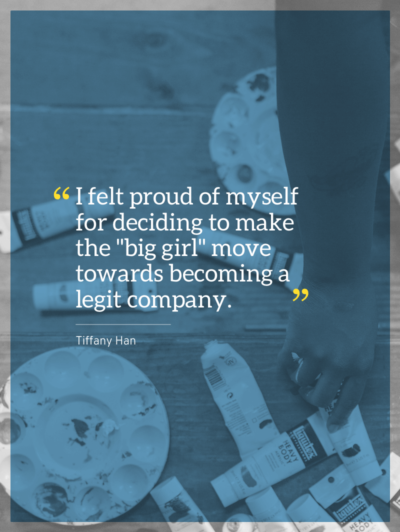 If you’ve ever felt overwhelmed, then you need to follow Tiffany Han. 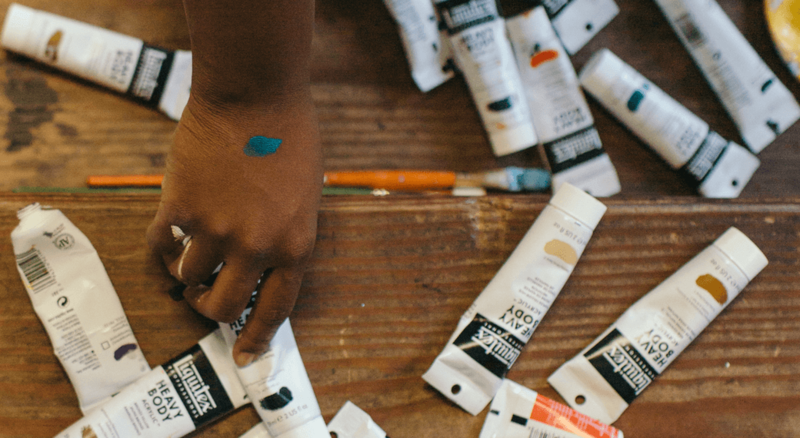 Tiffany helps creative women take bold, inspired action. She helps you raise your hand and say yes to all those crazy ideas and things you’ve been dreaming of doing. And thanks to her, anytime I’m overwhelmed, I stand up and look at my feet. Because as Tiffany says, baby steps add up to big changes, but only once you start taking them! So I stand up, look at my feet and figure out the next teeny tiny baby step. The small step I can take towards my goal. And then I sit back down and do that. Tiffany also runs a fantastic podcast, Raise Your Hand and Say Yes. On it, she features creative adventures of (extra)ordinary people and helps you have more of your own. Tiffany also lives in the SF Bay Area and in early 2016, she came to my law firm to get her business Kayne West legit. And she hired me to help her create her LLC. I asked her to explain to you what the process of becoming an LLC felt like. With success comes risk, so I decided to start the process of becoming an LLC. We’d just bought our first house and I wanted to be able to protect myself (and my family) in case the worst-case scenario occurred. I’d also passed the revenue threshold where becoming an LLC made financial sense as well. 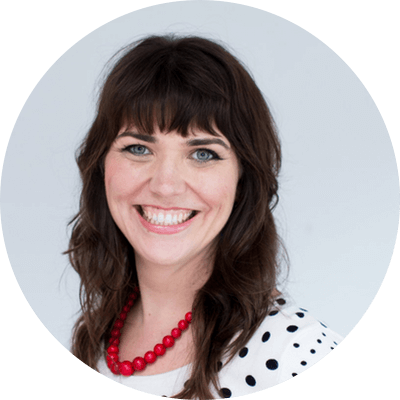 It was really exciting to recognize that I’d hit that point with my business. But, there’s always fear involved with investing and taking things to the next level. I felt proud of myself for deciding to make the “big girl” move towards becoming a legit company. It was time. And I’m so glad I did it! This has made a big difference for me in some surprising ways! 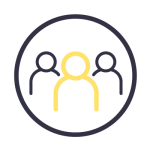 First and foremost, I’m protected legally so that if something happens, my family’s assets are protected. As mama to toddler twins, this is so important! Secondly, though, it’s opened up the way I think about what’s possible for the future of my business. I’m no longer just a coach. 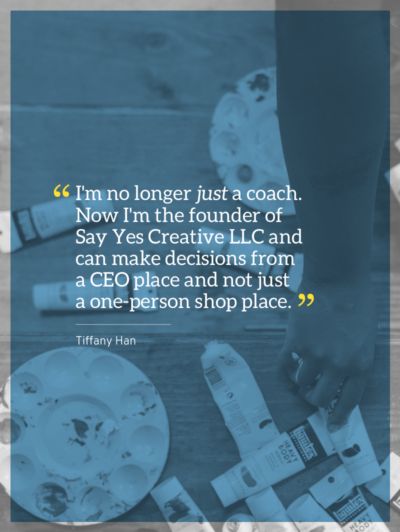 Now I’m the founder of Say Yes Creative LLC and can make decisions from a CEO place and not just a one-person shop place. 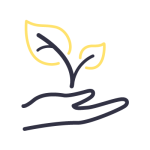 It feels like there is a lot more potential for me and my business and for what I can create for the world. It’s exciting! 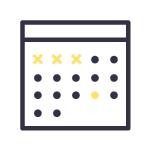 I learned that there are a looooooot of steps involved in becoming an LLC and that timing is pretty critical for a couple of different components. Thanks for sharing Tiffany! 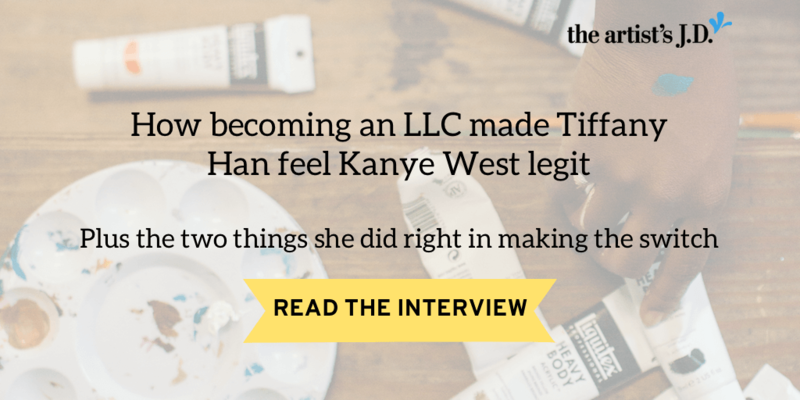 I’m a little biased, but I think Tiffany did several things right when she made the decision to become an LLC. When is it time to become an LLC? The first thing Tiffany did was follow my (not-so) secret formula. 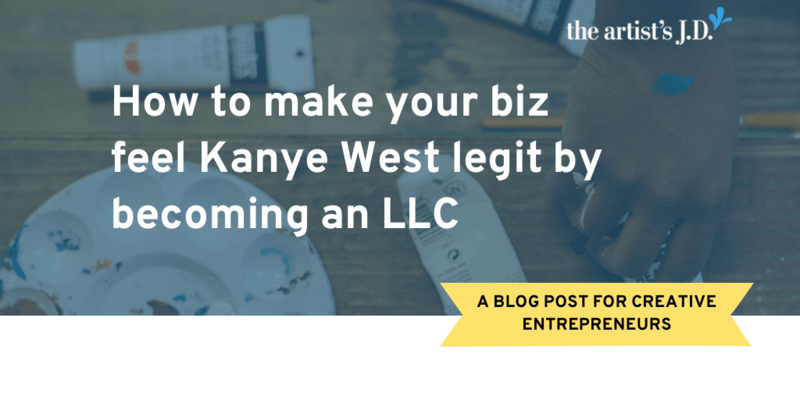 This secret lets you know when it’s time to become an LLC. You feel like you have too much to lose if something goes haywire. If like Tiffany, you’ve got little people in your life then you might tolerate less risk. On the flip side, you might be okay with more risk if you are single, childfree, or don’t have many assets. 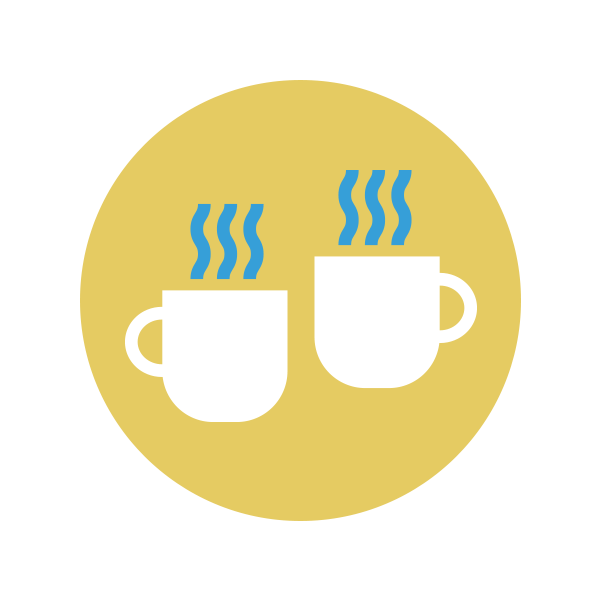 But the right time to switch is when you feel like you have too much to lose if something goes wrong in your business. The second thing that Tiffany did right was using this opportunity to step into the CEO role of her business. When working with my clients, I always tell them that becoming an LLC has a funny way of changing your mindset. 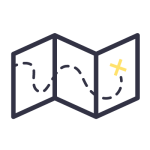 Because after you become an LLC you start to think of your business as something outside of yourself. It becomes this “official” and “legit” thing. And I’ve seen many clients go through this transition and do big and powerful things after the switch. 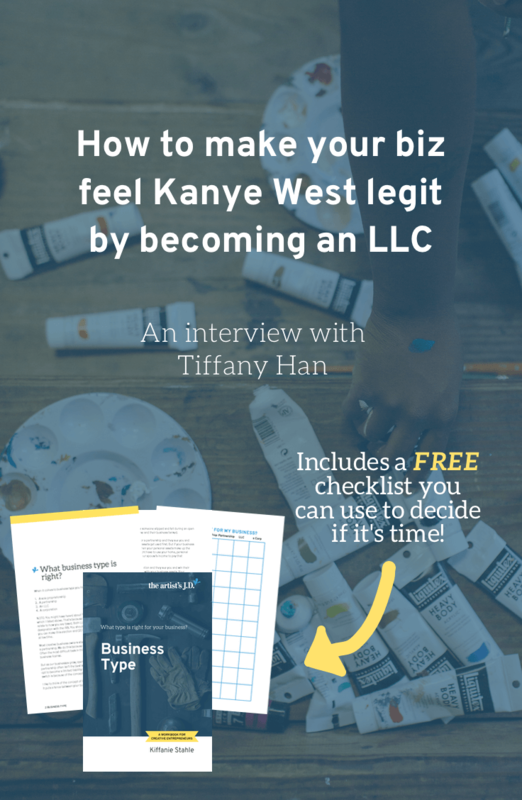 I’m not saying that you should form an LLC just to create this mental shift, but it’s one of the added benefits that comes when it is the right time. Want to connect with Tiffany? You can learn all about Tiffany’s offerings on her website or subscribe to her podcast in iTunes. She also is the master of Instagram Stories on her Instagram account.